Arguably our favorite Goniopora of all time, this beauty is jaw dropping under both white and blue lighting. It is a fast growing low-lying Goniopora that encrusts out like a fluffy monti. 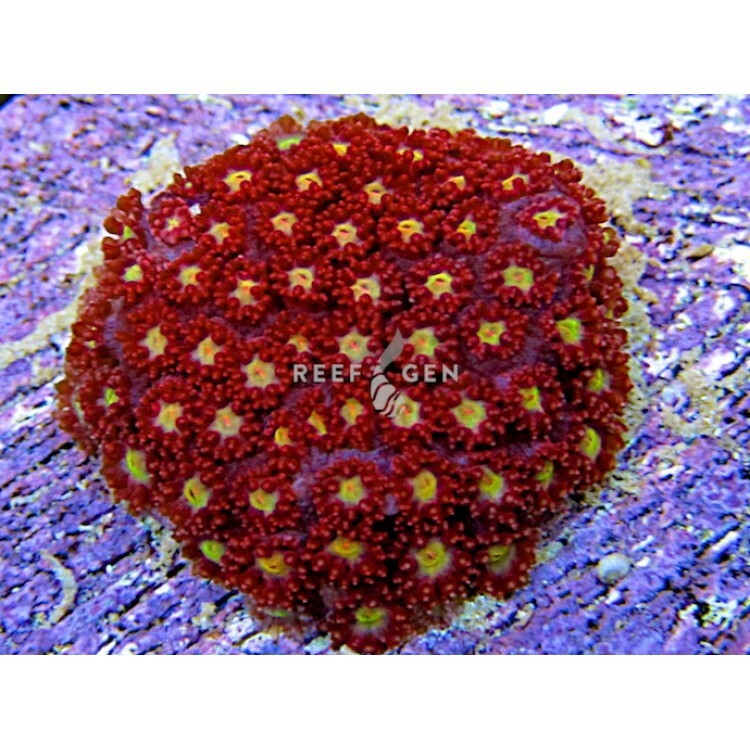 Our Red Daisy Goniopora stutchburyi has been carefully cultured in captivity for many years. It is consequntly a very hardy and adaptable Goniopora that will grow and flourish without a doubt. Wild gonioporas often contain boring nuisance microfauna that weaken it, but our gonioporas haven't had a scrap of wild tissue in them for many generations.